You are going to Watch Naruto Shippuden Episode 288 English dubbed online free episodes with HQ / high quality. 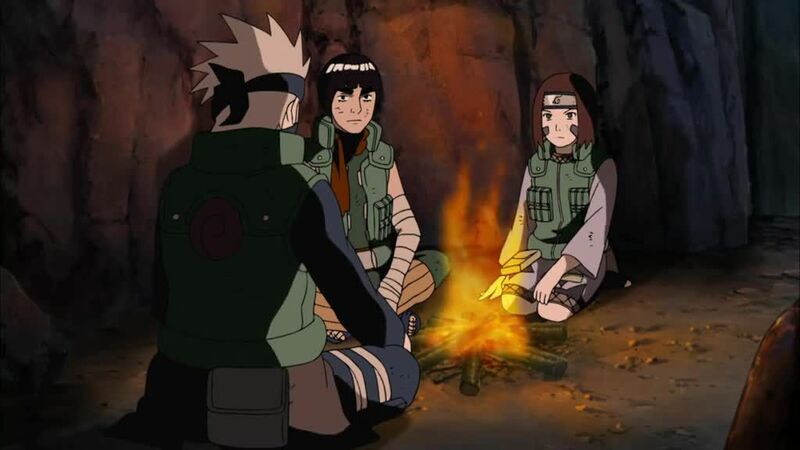 Stream Anime Naruto Shippuden Episode 288 Online English dub Danger: Jinpachi and Kushimaru!.While en route, Kakashi receives word that Sai had managed to seal one of the Seven Ninja Swordsmen of the Mist. He later receives intel from headquarters on the ninja swordsmen before he rushes towards where he hears a commotion. Upon his arrival, he sees Jinpachi Munashi and Kushimaru Kuriarare, who are affronted that Kakashi was wielding the Kubikiribōchō. As they begin to battle, the two reincarnated Kirigakure shinobi begin to mercilessly cut down one another in order to get to Kakashi. Kakashi is not alone for long as Might Guy comes to his side and together the two take on the swordsmen after Kakashi awakens a kunoichi, who had been knocked unconscious on the battlefield. After telling her to flee, the four begin to battle, and it ends up that Kakashi is left momentarily blinded by Jinpachi’s explosion. Despite this, the two men press on, remembering a time they went on a mission together along with Rin. The two are eventually able to stave off the Kiri-nin’s attack until Ran returns with the Sealing Team who promptly seal away Kushimaru and Jinpachi.